“Laypeople” is a common word we use around churches but I don’t like it. The word actually can be applied to any non-professional population as it relates to any profession (doctors, lawyers, etc.). 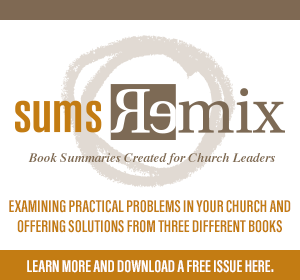 But most often it is applied to church, including its primary definition. Today I begin a blog series laypeople and the mission of God. I hope at the end of the series you will see and do things differently for His mission. The image that such terminology creates is of two classes of people inside the church. The first class (emphasis on “first”) is the professional clergy, referred to as “ministers” by some churches. The second class (I meant to say that) is the laypeople. I also see something that is not only unbiblical but I believe it sabotages the mission of God intended for ALL God’s people and teaches “lay people” that they are the ones who do nothing or are worth very little. A closer look at the origin of the word “laity” reveals an issue at the root of the word itself. The word comes from a French word that comes from a Greek word that is pretty common to some of you. “Laos” was one of the first Greek words we learned, for those of us forced to study such in seminary. You know what it means? . . . “People.” Now, the laity that we have made second class citizens over the years strikes back. So, if we call our non-clergy “people” I guess the clergy would be called . . . not people? You get my point, I hope. My fear is that we have created a class system in the body of Christ comprised of the “called” and the “not so much called.” Nothing could be further from the truth. The ministry assignment of the laypeople is not to simply “lay” around and tell the called what they should be doing. Laypeople are not to be customers of religious goods and services served by the storekeeper clergy. We are all called although our current assignments may vary dramatically. Jesus said to an ordinary group of people, “As the Father has sent Me, I also send you” (John 20:21). These were not professionals, with the exception of professional fishermen and a professional tax collector. And if we hope engage and evangelize the world with the gospel, we cannot possibly rely on professionals to do it. Laypeople often think that this means their job is to pay, pray, get out of the way. To make sure we are not communicating a low, irresponsible view of laypeople one thing is critical. We must create an atmosphere of expectation. 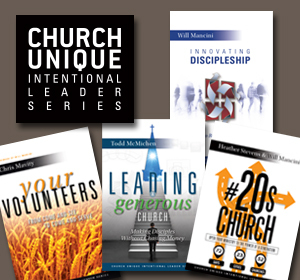 In all of our research on churches, people in transformational churches were taught that they were responsible for the ministry of the church. This was a recurring theme that they perceived, rightfully so, that they were the owners of the ministry. To do this, we must begin by declaring the two class system of ministry dead– we may even have to kill it. A new level of ownership must be given to the people of God, and the people of God must embrace what they are given. God’s desire is to have a church made up of every day Christians living like missionaries. 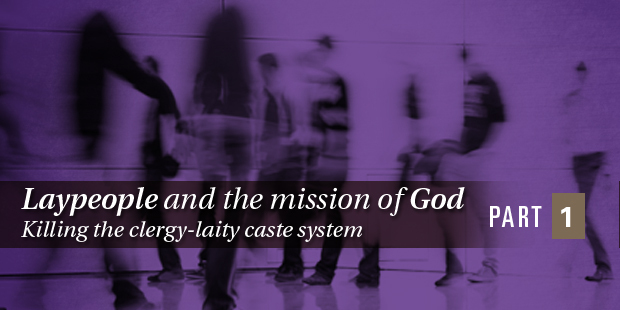 The clergy-laity caste system is killing churches and hindering the mission of God. Let’s kill it. Next time I will talk about why some pastors should resign and become full-time Christians, but in the mean time, how is your church empowering ALL God’s people “for the training of the saints in the work of ministry, to build up the body of Christ” (Eph 4:12 HCSB)? Is It Ok for a Church Leader to be Excited About Their Church?